Michael Arndt has started writing 'Star Wars: Episode VII'. The Oscar-winning screenwriter - best known for his work on 'Little Miss Sunshine' - has been confirmed as the person behind the script in the rebooted franchise and has already begun discussing ideas with film chiefs. An official statement read: "As pre-production of 'Star Wars: Episode VII' begins, Lucasfilm has confirmed that award-winning writer Michael Arndt will write the screenplay for the new 'Star Wars' film. "Kathleen Kennedy and George Lucas have begun story conferences with Arndt." While details of the plot are not yet known, it has been reported that Darth Vader - who was played by David Prowse - will be brought back from the dead. A source told the Daily Express newspaper: "He's an integral part of the franchise. Replacing him is virtually impossible. "The plan is for him to return and play a significant role in the new films. "This is science fiction remember. Darth Vader will rise from the ashes." 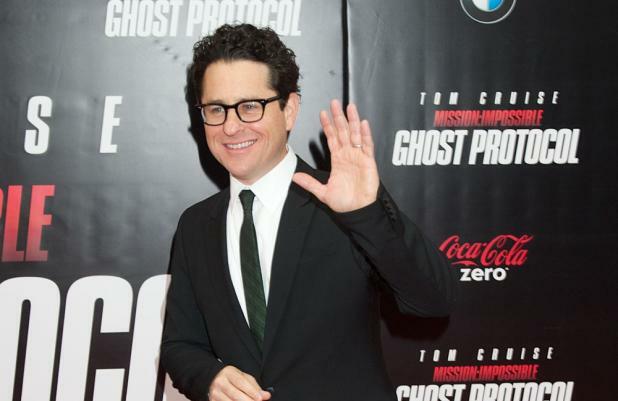 Meanwhile, 'Star Trek' director J.J. Abrams has ruled himself out of the running to take the helm of the movie, because he is such a big fan of the original film series. He told HollywoodLife: "'Star Wars' is one of my favourite movies of all time. I almost feel that, in a weird way, the opportunity for whomever it is to direct that movie, it comes with the burden of being that kind of iconic movie and series. "I was never a big 'Star Trek' fan growing up so for me, working on 'Star Trek' didn't have any of that, you know, almost fatal sacrilege, and so, I am looking forward more than anyone to the next iterations of 'Star Wars', but I believe I will be going as a paying moviegoer." 'Star Wars: Episode VII' opens in cinemas in July 2015.